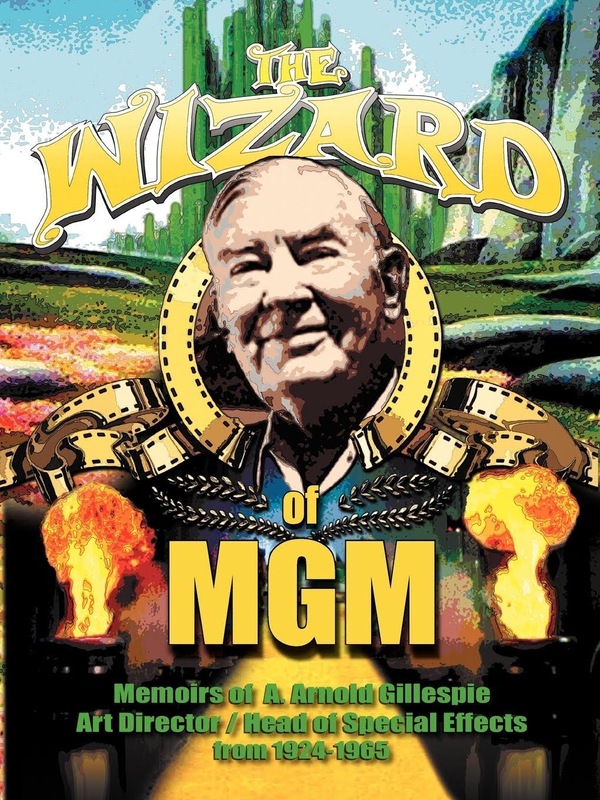 model ships in the cinema: Book Review, The Wizard of MGM the memoir of A. Arnold Gillespie. 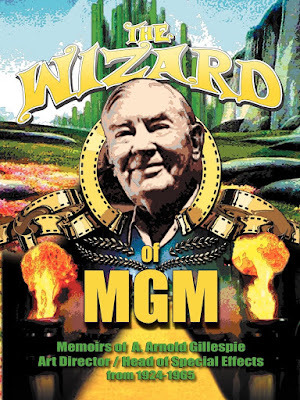 Book Review, The Wizard of MGM the memoir of A. Arnold Gillespie. This book was originally written in 1965 by A Arnold Gillespie who was the the head of Special Effects at MGM studios from 1924 to 1965. 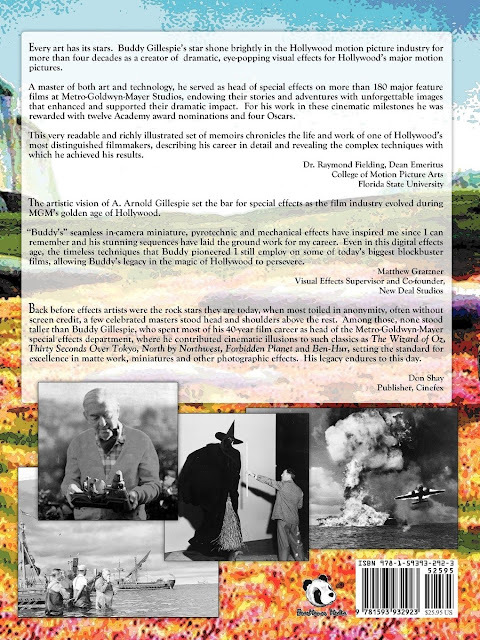 It was only published in 2013 and co-edited by Philip J. Riley and Arnold (Buddy) Gillespie's grandson Robert A. Welch. 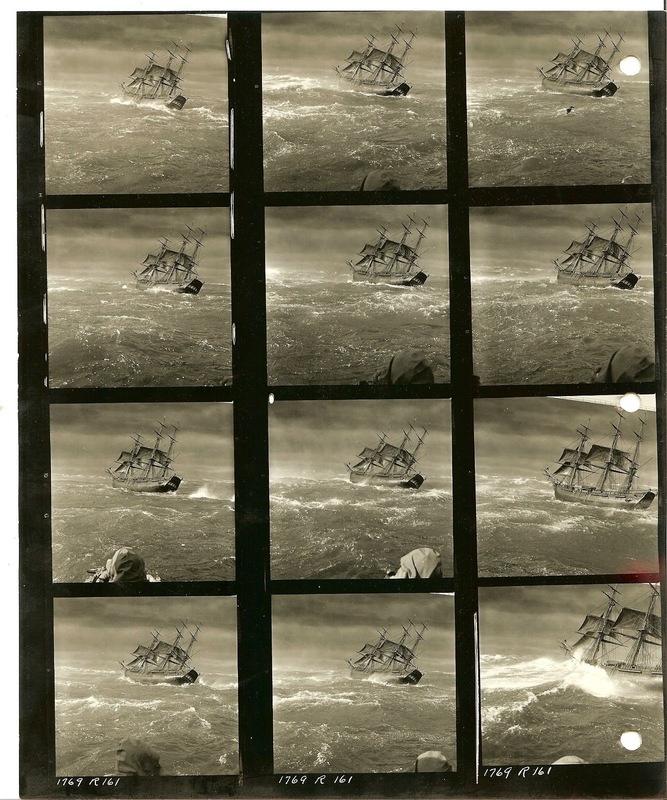 For the model ships in the cinema enthusiast you wont find a better book. It is packed with photographs of miniature ships in action and some behind the scenes shots as well as interesting drawings showing the pre-planning and layout of the miniatures in the effects tank along with camera and control wire placement. 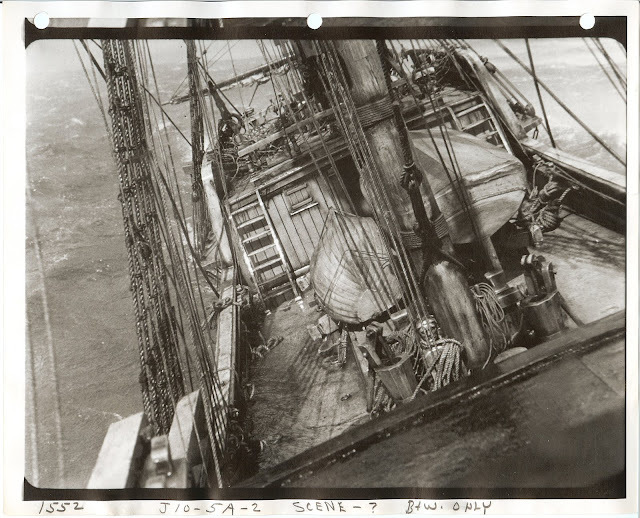 While there is a wealth of detail about how certain effects were done some information remains veiled by some antiquated terms in use such as "syphons" employed to produce the white water bow waves and wakes. 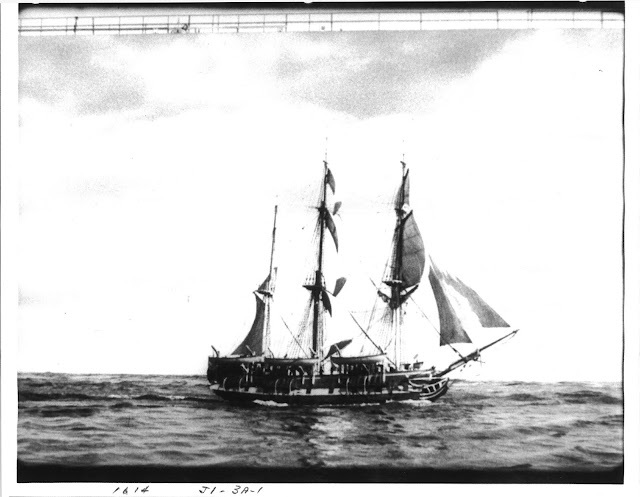 The single criticism leveled at the book is the cheap paper stock and printing that masks some of the details in the photographs. Robert Welch told me that he had a choice between a publisher that would print the book as his grandfather intended or a publisher that would produce better photos at the expense of jettisoning the text. He chose the former to accede to his grandfathers wishes. Those minor criticisms aside there is not another volume that is so overflowing with fascinating material to the old school visual effects fan and miniature model ship aficionado. I found a host of movie titles that I didn't know had model shjps in them which has led me to further research for this site. I thoroughly recommend this book. 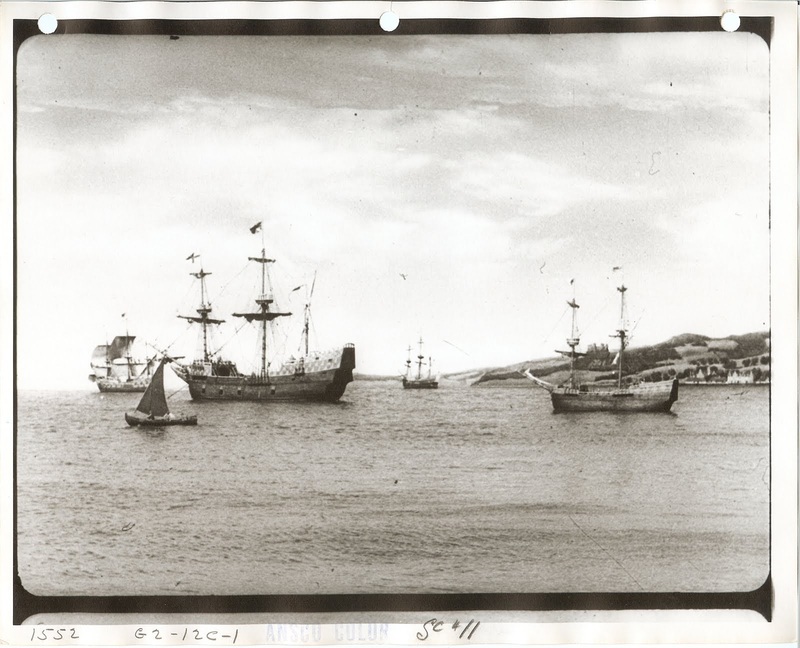 Robert Welch kindly sent me copies of some photographs from his grandfather's archive which are representative of the material in the book, which I present below. "All the Brothers Were Valiant". Proof sheet from the storm sequence from "Mutiny on the Bounty". 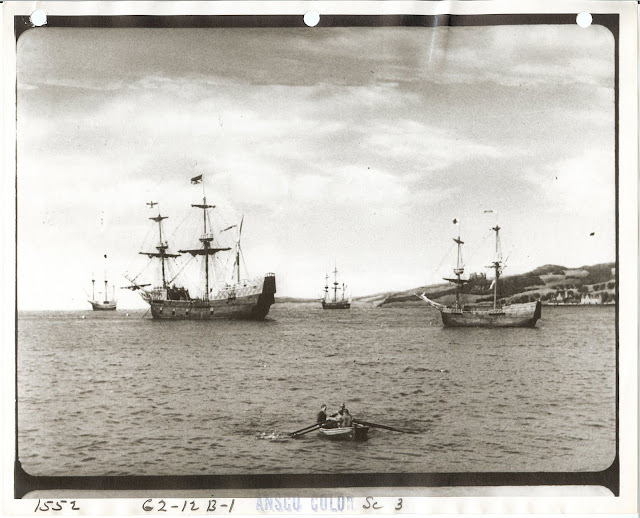 The Mayflower in "Plymouth Adventure". 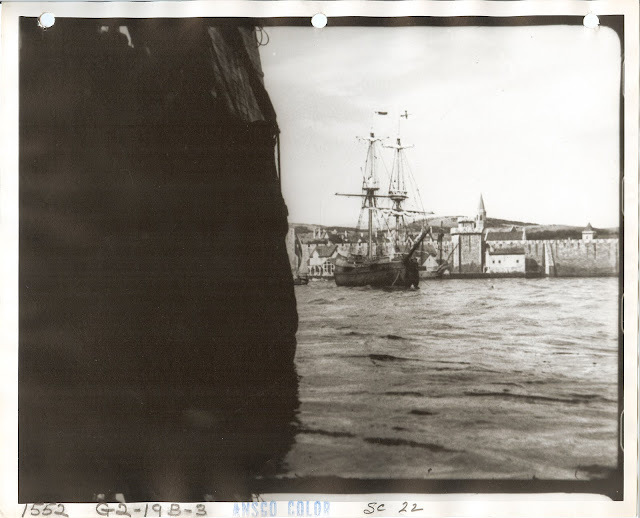 "Plymouth Adventure", waiting in port. "Plymouth Adventure" with miniature mechanised rowboat. "Plymouth Adventure" 1/4 scale miniature deck for rear screen process shot. Visit the site below for links to purchase and some background information on the book.